You can find adventurous activities, relaxed beaches, mountainsides, and amazing architecture just to name a few. Nicaragua is a land of mysticism and beauty so take a look at the tips below for a brief explanation of the top 5 activities in Nicaragua. Nicaragua is not big but it is hosts more than 20 volcanoes. Although some of them are extinct there are still a few active volcanoes that offer lava lakes and composite volcanic structures. It’s no surprise that volcano climbing is one of the most sought-after actives in the country. You can climb and hike volcano paths with a local guide and experience. Volcano boarding was developed as another way of taking advantages of all the volcanoes. You can slide down the side from the top while wearing safety equipment to guarantee nothing will happen to you even if you fall off of your board. Nicaragua is home to the second largest forest in all of the Americas called the Bosawas. It is so big and thick that it’s often referred to as “the lungs of Central America”. It also has an astounding 73 natural reserves, most of which are largely unexplored. You can hike through virgin forests and trails with local guides to explore and witness some of Mother Nature’s greatest creations. You could also hike through beautiful tropical jungles, mountain sides, pine forests while passing rivers and lakes which make up this unbelievably beautiful ecosystem and a “must do” in this top 5 activities in Nicaragua. 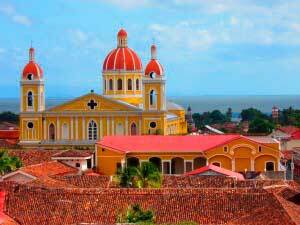 Nicaragua was colonized by Spaniards in the 13th century and still has heavy Spanish influence and traditions. Some of Nicaragua’s most prominent cities offer great sightseeing spots because of their beautiful colonial architecture. 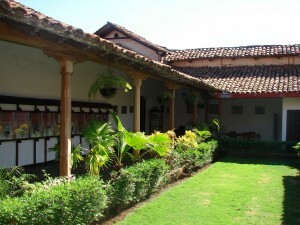 For instance, the city of Granada still has hundreds of colonial styles buildings that date back to the Spanish colony. It’s also home to a number of incredible churches, imposing government buildings and ancient temples all built in colonial style architecture. Nicaragua’s greatest attractions are beaches and rugged coastlines. With borders on both the Pacific Ocean and Caribean Sea, Nicaragua has an infinite number of beaches and seafront properties. The most popular water sport is surfing. Although the surfing revolution began less than two decades ago, Nicaragua is becoming one of the hottest surfing destinations in the whole world. The best part ist hat it’s not reserved for pros anymore. There are so many beaches with different tides and break points that you can find waters suited for all levels: from beginners to seasoned veterans will feel at home. Working at an organic farm and learning the average Nicaraguan’s day to day is one of the most rewarding experiences you can find. In this particular activity, you can work side by side with locals in agriculture and artisanal production such as cheese, milk, traditional foods and leather goods. Then come down to the local market with them and sell your products to complete the experience. Nicaragua is a magical place that offers an awesome experience for everyone. If you are thinking about traveling to Nicaragua contact us today. Our team of qualified experts will be more than happy to assist you and build the perfect vacation for you. Call us today and make sure you don’t miss any of the top 5 activities in Nicaragua!